Also, you might be interested in a new mixtape from Fillmoe rapper Ya Boy. We don't have a certain release date for "Mohawks & Heavy Metal", but some say it's coming even this month. Album will be handled by DJ Ill Will and DJ Rockstar. We'll keep you posted on this one. 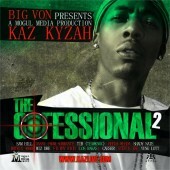 Check out the cover and get at YB on MySpace. 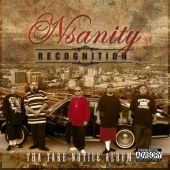 Be on the lookout for a double cd dropping under Thizz Nation on May 19th. It's going to be a greatest hits project from classic Crestside group: Cutthoat Committee, which is made of Mac Dre, Dubee and PSD. 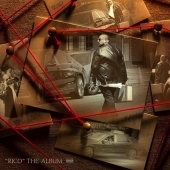 "The Best Of..." album will also feature Mac Mall, J-Diggs, Rydah J. Klyde, Sleepdank and bunch of other rappers. Stay tuned. 17. 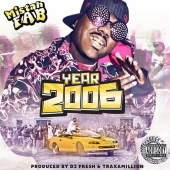 Breezy As Ever (Town Mix) f. Beeda Weeda, Dru Down, J Stalin, G-Stack & Mistah F.A.B. 01. I'm A Boss f. Yukmouth & Mistah F.A.B. Rapper Cash Crop haling from Sonoma (707) is dropping his new solo album May 19th. It will be entitled "Out Here Grinden" and will be released under Pistol Grip Productions. 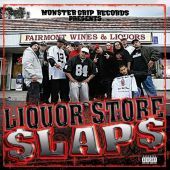 The project will include appearances from Big Tone, Lil Coner, Lil Raider, Louie Loc, Davina, Berner, Tito B, Mike Marshall, Feddy Hustle and more. 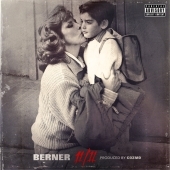 The production will be handled by Gennessee, Tony Butcha, Stinj-E, Feddy Hustle and others. 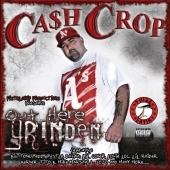 Check Cash Crop on MySpace. San Francisco group Hustle Boys is working on a new album called "Welcome To Crack City". 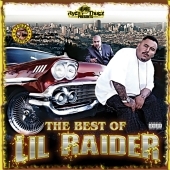 It will be released under Thizz Latin label and will be presented by Goldtoes himself. 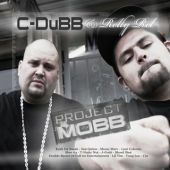 The project will feature appearances from Glasses Malone, The Jacka, Nump, Mistah F.A.B., Big Rich, Killa Squad, Eddi Projex, J Stalin, Beeda Weeda and more. 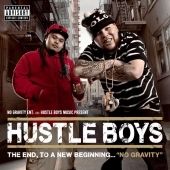 Check out Hustle Boys on MySpace. Oakland rapper Philthy Rich is making some major moves in a next few months. We will hear him on a new compilation called "Town Bizz: All Stars". 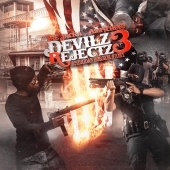 The album will be presented by Teek Da Kid and Philthy Rich and will feature artists like J Stalin, Keak Da Sneak, Beeda Weeda, Kaz Kyzah, Lil Blood, G-Stack, Mistah F.A.B., Clyde Carson, Jay Jonah and others. Philthy Rich will be also handling the third part of Early Morning Shift series. It will be obviously mixed by Demolition Men and will be named "Early Morning Shift Vol. 3". The album will include guest appearances from J Stalin, Stevie Joe, Mitchy Slick, Ros, Beeda Weeda, Eddi Projex, Lil Blood, Mistah F.A.B., Ronald Mack, Mayback, Shady Nate and many many more. That's not all, cause Philthy Rich is also working on his full length solo cd which is going to be available May 26th and will be entitled "Funk Or Die". 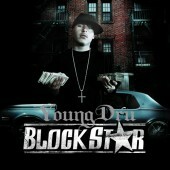 His upcoming cd will be released under Town Thizzness Ent. and will feature Livewire family and other Bay Area representatives. Visit Philthy Rich on his MySpace page. Staying with Oakland news we'll be also hearing soon from the whole Livewire camp. Artists like J Stalin, Beeda Weeda, Shady Nate, Jay Jonah, Lil Blood, Philthy Rich and others will be handling a new compilation project called "The Empire". 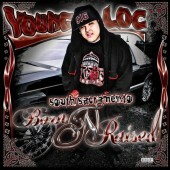 It will be released under Town Thizzness label and will be available April 21st. 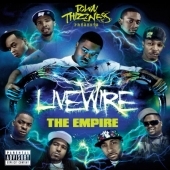 Check out Livewire family on MySpace. Termyte is a Latin artist from East Side San Jose, recently recording under Connected Inc. label. He'll be releasing his solo album on May 5th. The project is in fact a mixtape called simply "Lokote Mixtape Vol. 1", as he's dropping it under Termyte Lokote name. 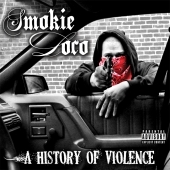 Album will include features from Thugzy, Cisco Lokote, Big Oso Loc, Boogie Locs, Mr. Lifted, Troublez, Cisco The Cholo, Yamil and more. Check him out on MySpace. 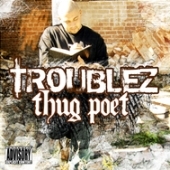 East Palo Alto homeboy rapper Thugzy is working on his new solo album. It will be called "Tha Hoodboy" and will be released under Gritty Minded Recordz. More info coming soon to BayUndaground.com. 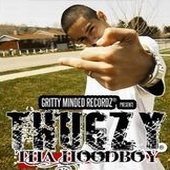 As for now check out Thugzy music at his MySpace page. 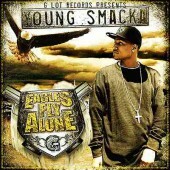 18 March 2009: Young Smacka R.I.P. Richmond underground rapper Young Smacka was killed last week. He died in a drive-by shooting on Interstate Highway 580 in Richmond on Tuesday afternoon. This 21-year-old artist released his debut cd titled "Eagles Fly Alone" on G Lot Records not that long ago. You may visit his myspace page. Rest in peace - from the whole BayUndaground.com staff. 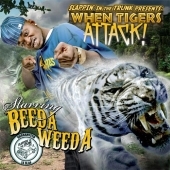 18 March 2009: Beeda Weeda - When Tigers Attack! It's hard to believe, but we wrote about "Giants & Elephants" more than half a year ago. It was supposed to hit the streets in October 2008. 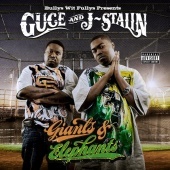 We were pretty sure that this Guce and J Stalin collaboration will not be released at all. However City Hall Records has recently announced that we should see it on May 19th. Visit BayUndaground.com for more information coming up soon. 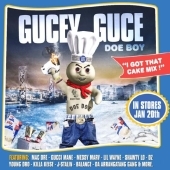 18 March 2009: Guce - I Got That Cake Mix! 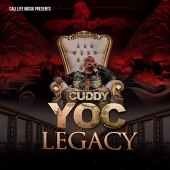 Another cd with Guce - or should I say Gucey Guce Doe Boy? 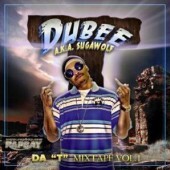 - on the front cover is a mixtape titled "I Got That Cake Mix!". It is also late as for now as it was scheduled for January. The new date is also May 19th. 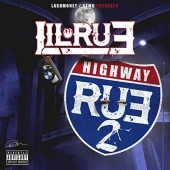 According to current information it will feature artists like Lil Wayne, Gucci Mane, Young Dro, Mac Dre, Shawty Lo, J Stalin, Killa Keise and Messy Marv. Stay tuned. There's one more that has a new date announced. Freash solo from AP.9 should be available on May 19th. 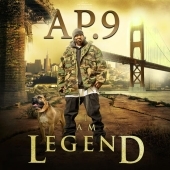 The album is named "I Am Legend" and will feature The Jacka, Lee Majors, Shill Mac and Yukmouth. It will include 16 new songs and will drop under Mob Shop Entertainment. We know that AP.9 will collaborate again with Indecent The Slapmaster (production, mastering and mixing), yet we'll also hear beats from other producers. We'll surely keep you posted on this one. For more info and check AP.9 on MySpace. 01. I&#8217;m A Boss f. Yukmouth & Mistah F.A.B. 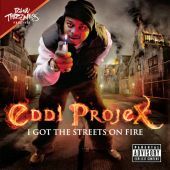 If you're a Hittaz On Tha Payroll fan then you should know that the brand new solo by Eddi Projex is coming real soon. 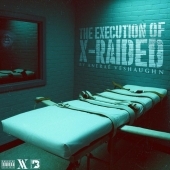 We've already written about this Oakland rapper back in January, but right now the release date is set for March 31st. 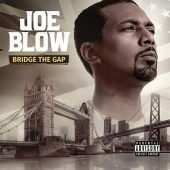 His second album will be titled "I Got The Streets On Fire" and released on Town Thizzness. You'll hear the production by Swerve, Eric B, Tracklordz, Dublin Beatz, Harm, MastaMindz, Steven King, Mechanix, Trumpet Boy and Rellski. 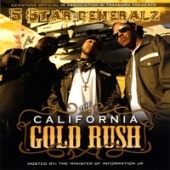 You'll also hear tons of guest appearances on it: Jacka, Mistah F.A.B., J Stalin, Beeda Weeda, Too Short, Delinquents, Laroo, Kaz Kyzah, Dru Down, Hittaz On Tha Payroll and many more. If you haven't heard yet about the Shiesty Ridaz Productions then you should pay more attention as they release albums each year. They also have a couple of cds scheduled for upcoming months of 2009. 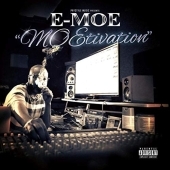 As a first one there's a debut album from a Fillmoe rapper Young Cutt. We've already written about it in September, however it got pushed back, but it will finally be released on April 14th. It will be titled "Turf Money" and will mostly feature appearances from Shiesty Ridaz fam: Snype, Young Vicious, Mistah Slick, Shoddy Boe, E-Money, Jess James & Chosen. 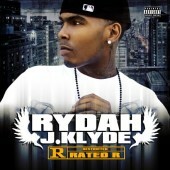 The whole production will be handled by Snype of Shiesty Ridaz. 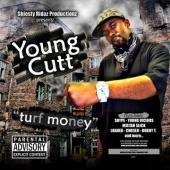 Visit Shiesty Ridaz and Young Cutt on MySpace. 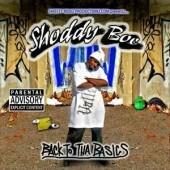 The next to drop from the Shiesty Ridaz Productions is a west Vallejo cat named Shoddy Boe. He has already released one underground album titled "Life Of Roadrunner". 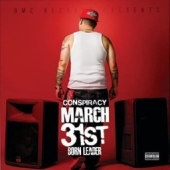 His sophomore cd is planned for April 28th. 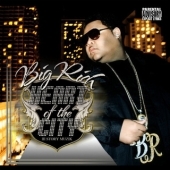 It is called "Back To Tha Basics" and will feature cats like Snype, Young Vicious, Mistah Slick, Young Cutt and Bobby T. Visit him on his myspace page. 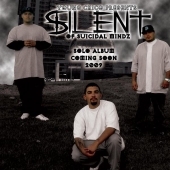 What does Shiesty Ridaz have in plans for 2009? 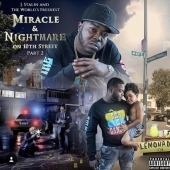 Well, there's pretty many of it: second solo from Snype titled "Million Dollar Hut", compilation "Bay Hustlin Vol. 1", Snype & Loaded collabo album and more. Stay tuned to BayUndaground.com for more information. Black-N-Brown C.E.O. Goldtoes will drop a new project in association with Take Flight Muzik. 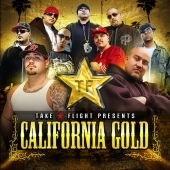 The album will be called "California Gold" and will hit the stores May 19th. 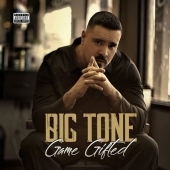 We'll get verses from Mistah F.A.B., Goldtoes, Jay Tee, Mac Mall, Da' Unda' Dogg, Baldhead Rick, Big Tone, Tito B, Mr. Kee, Louie Loc, Berner, Jimmy Roses, Hustle Boyz & many more. Listen to a few songs on Take Flight MySpace page. Rapper Gonzoe of Yukmouth's Regime camp will drop his new solo album May 7th. 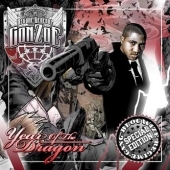 It will be called "Year Of The Dragon" and will be released under Bloc Wize Entertainment. More info coming soon to BayUndaground.com. Visit Gonzoe on his official MySpace page. Stay tuned. There's a new compilation coming out April 21st under Hella Records. It will feature various tracks with entire production done by TD Camp. 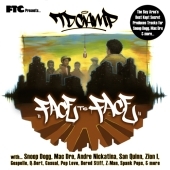 Album will be entitled "Face To Face" and will include appearances from artists like Snoop Dogg, San Quinn, Mac Dre, Andre Nickatina, Casual, Bored Stiff, Big Rich, JT The Bigga Figga, Mike Marshall and many more. Be sure to visit us for more info. Some good news for all fans of sick music from Brotha Lynch's camp. Leader of Sacramento dark rap is recently working on some new stuff from Madesicc Muzicc. We'll soon hear two new mixtapes. 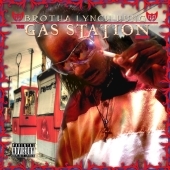 Brotha Lynch Hung himself is coming out with a "Gas Station" mixtape and also will release a duet album with COS. 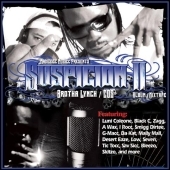 The Suspicion second group album will feature Luni Coleone, Black C, Zagg, A-Wax, I-Rocc, Smigg Dirtee, G-Macc, Mally Mall, Sav Sicc, Bleezo, Skitzo and many more. Be sure to check BayUndaground.com for release dates and tracklists. 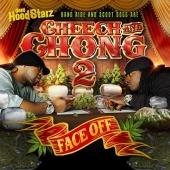 In the meanwhile visit MySpace pages of Brotha Lynch, COS and official Madesicc Muzicc. 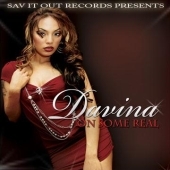 Big Tone's wifey and Sav-It-Out female artist Davina will be out with a new solo album May 5th. This will be her second solo project and will be entitled "On Some Real". Obviously it's dropping under Sav-It-Out Records. 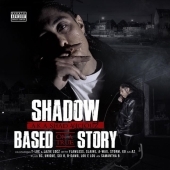 Be on the lookout for this project and visit this East Bay female singer on MySpace. 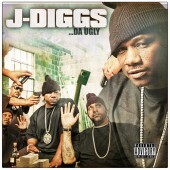 There're some great news for all J-Diggs fans. This Crestside vet will drop 3 separate cds on the same day! According to City Hall Records they're all dropping April 21st. 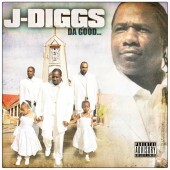 This huge combo will include albums called: "Da Good", "Da Bad" and "Da Ugly". 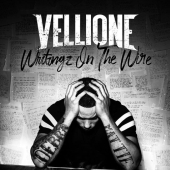 Each project refers to different side of rapper and will be released with a different cover. 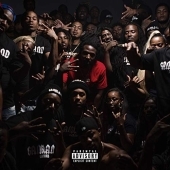 "Da Good" album will feature Keak Da Sneak, P.S.D., Chop Da Hookman, Vital, Baby Bash, Mac Mall, Matt Blaque, Crest Creepaz, Da' Unda' Dogg and more. 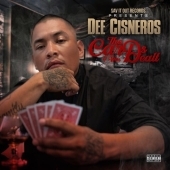 Second one entitled "Da Bad" will include guest appearances from Mac Dre, Dubee, Rydah J. Klyde, The Jacka, Dem Hoodstarz, Bleu, Pillionaires, Crest Creepaz, Duna, Glasses Malone, San Quinn and more. And the one named "Da Ugly" will be filled with verses from Cutthoat Committee, Mob Figaz, Money Gang, Thizz South, Thizz Latin and more. 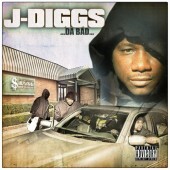 Be sure to get back at BayUndaground.com to check the tracklists and more info on this J-Diggs and Thizz Ent. work. Meanwhile visit rapper on MySpace. This ain't all for Thizz Ent. coming out next month. 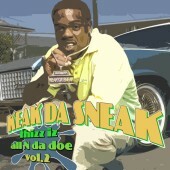 There's also a sequel Keak Da Sneak's album called "Thizz Iz All N Da Doe Vol. 2" dropping April 21st. 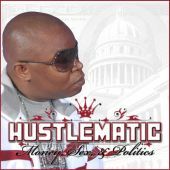 Album will be filled with features from his fellows from Farm Boyz group (Bra Hef & Ike Dola), J Stalin, Big Scoot and many more. 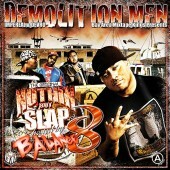 Check out Keak Da Sneak on MySpace page. Another one dropping April 21st on Thizz Ent. 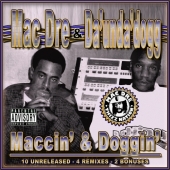 is a huge collabo album between oldschool vets and some new cats from Crestside: Mac Dre, The Mac, Da' Unda' Dogg, Stevie Dee, Mac Mall, Dubee, P.S.D., Reek Daddy, Sleepdank, J-Diggs, Vital, E.B., Crest Creepaz and Thizz Kidz. 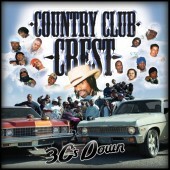 This mega group is called Country Club Crest and they're all recording "3 C's Down" for ya'll. And if you consider yourself a real Thizz Ent. 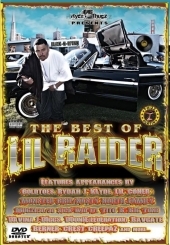 collector you can also cop "Best Of Thizz Nation Vol. 3" dropping also April 21st. 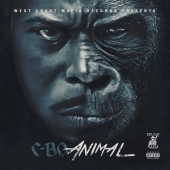 Album will include 17 songs with appearances from Keak Da Sneak, J-Diggs, Dubee, Rydah J. Klyde, Mistah F.A.B., Bavgate, Crest Creepaz, San Quinn, Mac Mall, Meez, G-Stack and others. Another DRF release is coming out April 21st. It's going to be a soundtrack project to "I Got Five On It" and "I Got Five On It Too" movies. 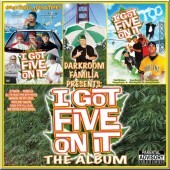 It will be a double cd called "I Got Five On It: The Album" and will feature 28 tracks. Project will also include a mini poster, music videos and a DRF movie trailers. Be on the look out for this Darkroom Studio release next month. 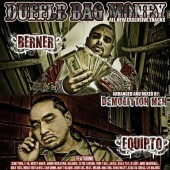 There's also a new duet album from two Frisco rappers: Berner & Equipto. 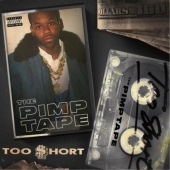 They came out some time ago with an album called "Duffel Bag Money" which features 18 songs with appearances from Slim Thug, E-40, Messy Marv, Andre Nickatina, Balance, Clyde Carson, Turf Talk, The Jacka, Killa Tay, B-Legit, Young Noble, San Quinn and more. 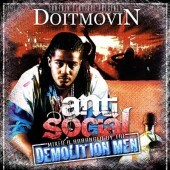 Project was mixed by Demolition Men and was released under Bern One label. 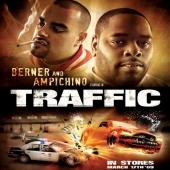 Check out both artists on MySpace: Berner, Equipto. Stayin' in Shark City we're back with some more news on Bay Mafia upcoming release. The "Out To Get Even" album will hit the stores March 9th and will be released under Connected Inc. label. 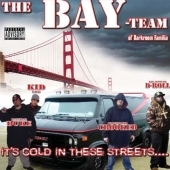 Next to Bay Mafia (Young Tank & Boogie Loc) verses you'll hear such artists as Lil Coner, Termyte, Big Oso Loc, Troublez, C-Locs and more. 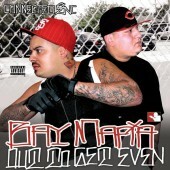 Visit Bay Mafia members on MySpace: Young Tank and Boogie Loc. Be on the lookout for a new Goodfelonz cd coming out soon. 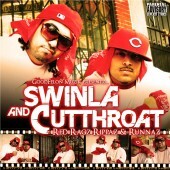 It will be a duo album from Swinla & Cutthroat and will be called "Red Ragz Rippaz & Runnaz". 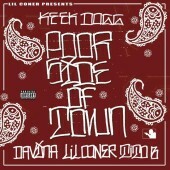 It will be released under Goodfelon Muzik. 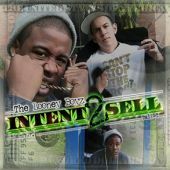 Visit Goodfelonz on MySpace and check us out daily for more info.